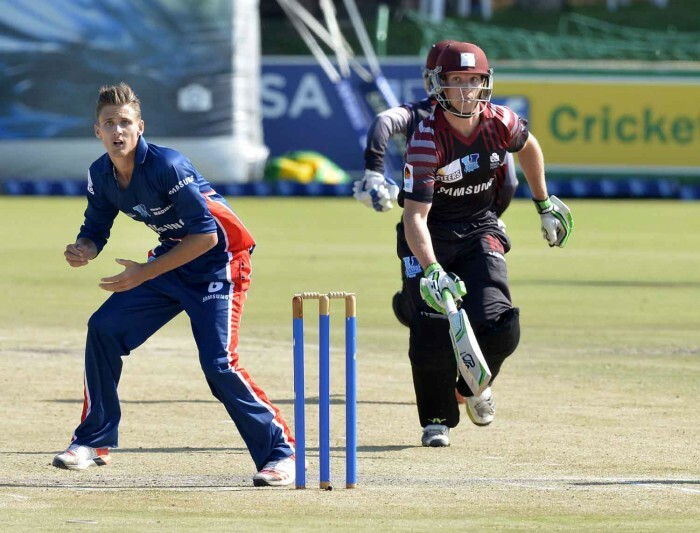 Beset by injury problems as a junior, Mecer NMMU-Madibaz fast bowler Henco Vorstman came of age this season by playing a leading role in the team’s triumphant run in the Nelson Mandela Bay Cricket Board Premier League. The 20-year-old paceman reaped the dividends of the many hours of work he has put into his bowling to claim 23 wickets during the season – an important factor in the Madibaz’s success. In paying tribute to his coaches and teammates, Vorstman described the summer as one of his best seasons and was delighted to make a significant contribution to the team. “Working hard has never been a problem for me, and seeing my hard work pay off was just delightful,” he said. “Taking three five-wicket hauls has made this my best season so far and I couldn’t have done it without the help of my coaches and God. Having grown up in Pretoria, where he attended Elarduspark Primary School and Waterkloof High, Vorstman said he had been involved in cricket ever since he could remember, first playing the game as a four-year-old. After matriculating in 2014, he moved to Port Elizabeth where he lives in a flat in Humewood and is studying a BComm Business Management degree at NMMU. Following his successful season, Vorstman is looking forward to making his mark in the game to realise the potential he showed as a junior. “I played in the Northerns provincial teams from U11 up to U19. I haven’t made any major teams yet as I had problems with injuries in the past which kept me from realising my full potential. “But being selected for the U19 (Northerns) Coke Week team and then the Titans Cubs have been among the highlights, and then obviously playing for NMMU’s first team straight out of school. While cricket clearly plays a big role in his life, the quicky is equally determined to make his mark off the field. “I chose this degree because I want to start my own business after I hang up my cricketing boots. It has been a passion of mine, and the drive behind creating something of my own also influenced my decision. “I’ve managed to make small breakthroughs in my entrepreneurial ventures and I try to fill myself with as much business-orientated knowledge as possible. “I like to have some sort of structure to my life. It really isn’t easy to try and accomplish two life objectives at the same time, but at the moment I’m just happy to be here. Having achieved their objective of winning the league, Vorstman said they would now focus on competing in the national club championship in Pretoria at the end of April. “Training hard and making sacrifices that other people wouldn’t were just a small indication of the hunger we had as a team. “But our eyes are set on the next objective, and we will take this victory as a solid base going forward as a club. “I just want to add that even though I received acknowledgment for my performance, it was the whole team that made winning this league possible.